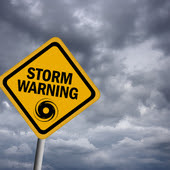 The economies of China, India, Indonesia and Philippines face maximum risk due to natural disasters, reveals a report released by Maplecroft, an analysis and mapping company. The firm mentions these emerging economies lack the combating capacity from the disaster caused naturally and also from its impact. It adds, Japan and US are also highly exposed to such natural hazards, but they are well equipped to combat with the impacts. In its Natural Hazards Risk Atlas 2011, Maplecroft lists 196 countries across the world that are exposed to natural disasters such as tsunamis, earthquakes, floods, drought and tropical cyclones. According to the atlas, USA ranks on the top followed by Japan, China and Taiwan. These four countries are categorized as "extreme risk" and titled as absolute economic exposure to natural hazards. The remaining five countries in the top ten list are India, Philippines, Turkey, Indonesia and Italy respectively. These six countries are categorized as "high risk". The tsunami in Japan, United State tornadoes, New Zealand's Christchurch earthquake, and the Australia flood this year are assessed to have economic impact of $265 billion. This is just the first six months of 2011. Never earlier natural hazard costs so much to the world economy.